Steel Pipes | Edabea S.L. 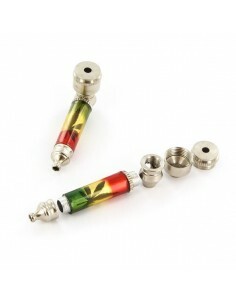 Rasta metal pipe 8 cms.The model may be different from the image. 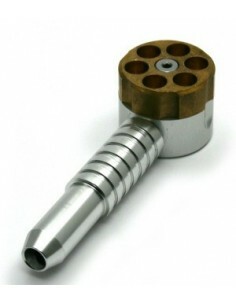 The Skeleton pipe is a lightweight pocket size pipe made from machined alloy. 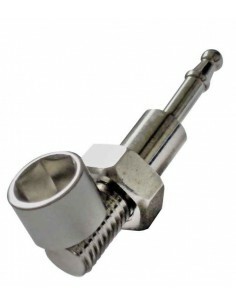 It features a unique design with cooling ribs that disperses heat as the smoke travels through the main chamber of the pipe. 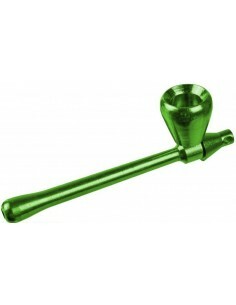 This will cool down the smoke and will result in a smooth cool hit every time, which is rare for such a small hand pipe. 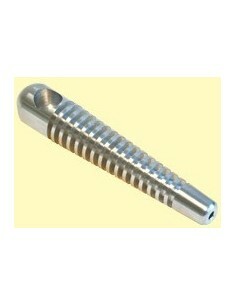 This stealthy aluminium pipe has been cleverly designed to look just like a flashlight key chain. 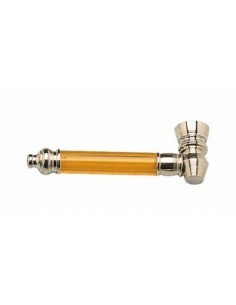 The torch doesn't actually work but with a few twists and turns you have a durable, discreet pipe to fire up your herbs with. 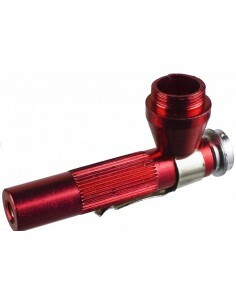 Proto Vape Pocket Pipe & Vaporizer is based on the original pure pipe from way back in the 1960s. Fun metal pipe with a resin fungus embedded. The pipe is unscrewed to facilitate cleaning.Measure approx. 10 cms.